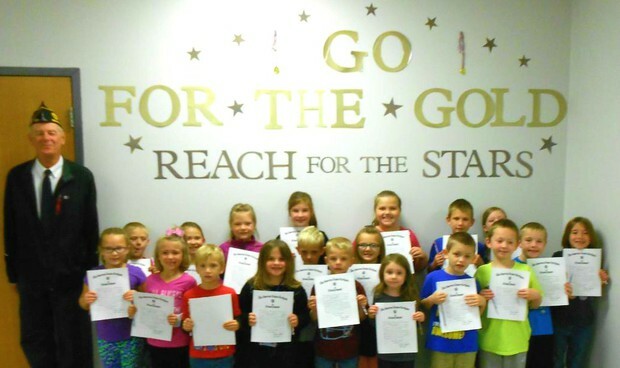 September Students of the Month Are Good Listeners! 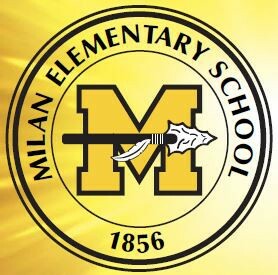 Established in 1996 as a collaboration between our school and the Milan American Legion Post, the Student of the Month Program has been a big success at Milan Elementary. For those of you who might be unfamiliar with this program, it gives recognition to students who put forth outstanding effort in targeted areas and encourages others to follow their good example. Students receive a certificate prepared for them by Legion Auxiliary Member Thelma Reese and presented to them by Post Commander Greg Taylor. They also have a group photo taken which appears in the local newspaper. Each month there is a different theme. Kindergarten: Sophie Andrew, Makenna Hartman, Ryder Iles, Lily Arthur, Laynie Thompson. First Grade: Mason Baylor, Jaxson McKeown, Drayden Pindell, Robinson Lloyd. Second Grade: Madison Finn, Allison Stamper, Gavin Trenkamp, Craig Hatfield. Third Grade: Kayleigh Bearden, Miley Ellis, Kolbie Combs. Fourth Grade: Ben Knowlton, Lucian Cooper, Brianna Hatfield, Marissa Farrell. Congratulations to these students and their families! Watch for their picture to appear soon in the Ripley County newspaper. 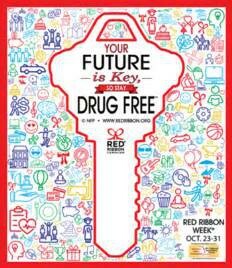 School Nurse, Tammy Jutzi and School Counselor, Brenda Schwering invite your family to participate in promoting National Character Counts Week and Red Ribbon Week by combining a CELEBRATION of wearing RED on Friday, October 27th. 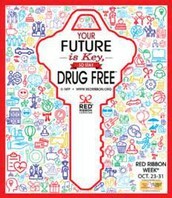 CARE enough to stay DRUG FREE!-- Your Future is Key so Stay Drug Free! Parents, please circle next Wednesday, November 1st, on your calendars. November 1 will be a corporation-wide eLearning day involving all Milan Schools. On eLearning days, students will be expected to attend “virtual” school. Students will not physically be in the building but expectations for completing the assigned work and submitting it on time are the same as if they were actually here at MES. The buildings will not be open to students that day, the buses will not run and no meals will be served. Teachers will be involved in staff training and professional development activities during most of the day. However, Teacher "Office Hours" have been set aside during which they will be available by email and/or school phone at 812-654-2922 for questions regarding assignments. Office hours for elementary teachers are 8-9:00 a.m., 11-11:30 a.m., and 2:30-3:15 p.m.
Milan Elementary School is proud to honor veterans from all branches of the armed services at a very special music program on the morning of Friday, November 10. There will be two performances, 8:30 a.m. and 9:30 a.m. Although veterans and auxiliary organization members are all welcome to attend either or both performances, the Milan American Legion will be actively participating in the 8:30 a.m. show. All attending veterans will be recognized during both programs that will feature patriotic songs and music performed by our fourth grade students. Fourth Grade parents please note that this will be your child's public music performance for the year. You are also invited to attend either performance. If you must bring your child to school in the morning or pick him/her up after school, you are required to use only the side street leading to the drop-off/pick-up area near the pool area entrance. DO NOT USE THE PARKING LOT IN FRONT OF THE SCHOOL before 8:00 A.M. or from 2:30-3:00 P.M. This area is for bus drop off and pick up only during that time. Additional car traffic creates a serious danger for everyone. You may use the front parking lot between the hours of 8:00 a.m. - 2:30 p.m. only. To access the morning drop-off area, turn onto Lakeview Drive at the bottom of the hill and follow it to the side parking lot near the pool entrance. Students are to be dropped off in this area only. The side entrance door is open from 7:30-8:00 a.m. each morning for students being dropped off. Once their ride is stopped in the pick-up area, students will be released to enter the vehicle. 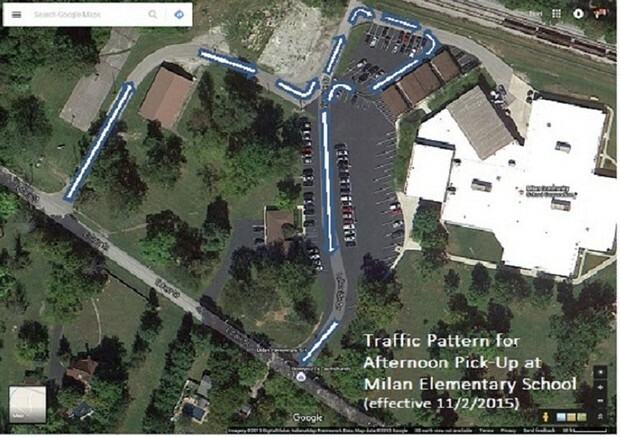 When the student is safely seated and buckled into the vehicle, the driver should exit the parking lot by traveling in front of the Superintendent’s Office between the two rows of staff vehicles (see map below). Exiting car rider traffic will be stopped briefly when the buses are ready to leave the elementary lot. We thank you for your patience and cooperation. Your child’s safety is our number one concern! 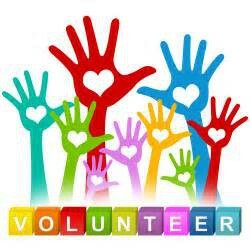 Mrs. Brenda Schwering, School Counselor is looking for TLC (Tender Loving Care) Mentors who are interested in volunteering on a weekly basis to help students with reading and math skills during the school day. Please reach out to her with questions or for signing up through her e-mail at brenda.schwering@milan.k12.in.us or by calling the school at 812-654-2922. You do not have to have a child or grandchild in our school to volunteer to give support to a child. Past volunteers have included retired senior citizens, members of the local clergy, and former teachers. The only qualification is the desire to help a child grow and learn. 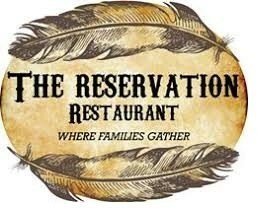 Moving MES Forward Foundation is hosting once again this very popular fun filled evening for our MES School family! Come support your school and enjoy a delicious dinner, fun activities, and visiting with your teachers and staff members as they help waitress and clear tables. A big THANKS to Greg and Jeff Holt for donating 10% of the day’s proceeds to Milan Elementary! You won’t want to miss it! This year's Ambassadors include: Mason Baylor, Makiah Stamper, Emma Burdette, Lane Smith, Kaydience Stahle, Drayden Pindell, Liberty Ratledge, Colt Morling, Mattie White, Conner Chirstenberry, Cassidy Derico, Carson Ellis, Kiara Meyers, Craig Hatfield, Abigail Carpenter, Brycin Osborne, Aubrey Young, Nicholas Voss, Baylee Boggs, Aiden Arhtur, Kaylee York, Landon Ratliff, Allison Williams, Ben Knowlton, Hailey Pippin, Brayden Parsons, and Grace Deffinger. We thank them for representing our school! 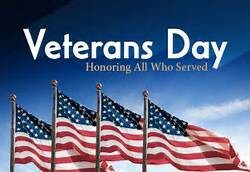 10 - Veterans Day Programs: 8:30 a.m. & 9:30 a.m.
13 - Book Fair, 4-7:30 p.m.